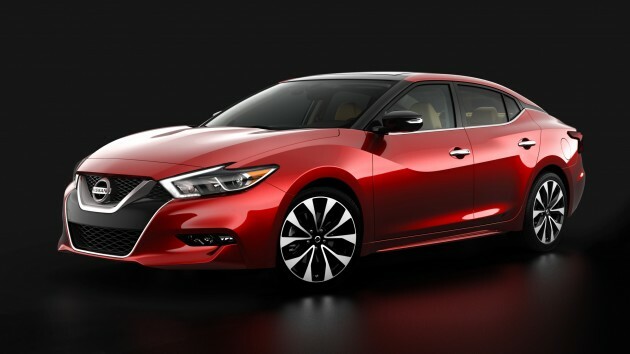 If you purchase a 2016 Nissan Maxima later this year, you’ll have the privilege of paying your hard-earned cash money for a feature that will enable said Maxima to monitor your consciousness and politely suggest that you stop driving when you get sleepy. According to a recent AAA report, almost 40% of drivers have admitted to falling asleep behind the wheel. That’s a scary statistic. 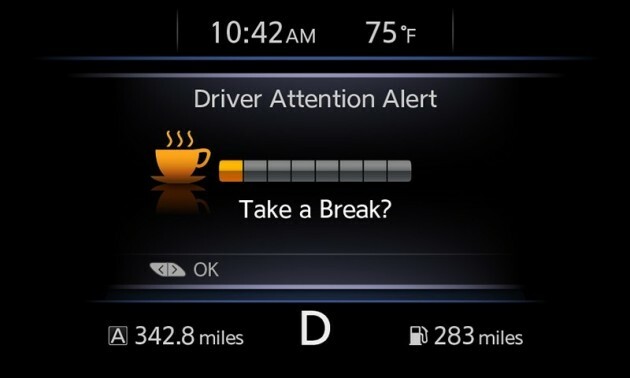 Nissan is aiming to reduce this percentage through a new feature called “Driver Attention Alert”. This feature, now available on the 2015 Murano, will use the driver’s steering input patterns to set a baseline. Once the driver strays from this pattern, it assumes that fatigue has set in and displays an amber cup and the text, “Take a Break?” and plays a chime. Thankfully, you can turn this feature off if you’re a former truck driver or otherwise dedicated road traveler that only stops for gas, pops enough caffeine pills to kill a tower of giraffes (Yes, a tower. Google it. ), and leaves a wake of pee-filled bottles to litter the overpasses along your path. In all seriousness, we’re hoping that Nissan makes this standard on all of its cars in the near future. It’s a simple way to remind people that road fatigue is real and dangerous, and seems to be a technologically simple feature that wouldn’t add much cost to the vehicles.